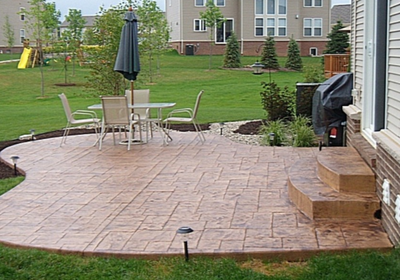 If you have been saying year-after-year that you are going to do something about the appearance of your patio but you haven't done anything, it is time to give us a call at Milford Stamped Concrete. 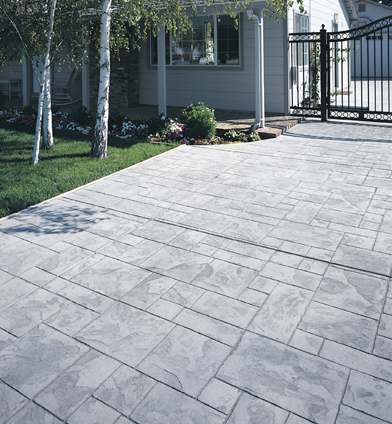 Our concrete contractors can take care of this for you by installing a stamped concrete patio. Regardless of your budget, we are able to offer you something that you can be proud to invite friends and family too. 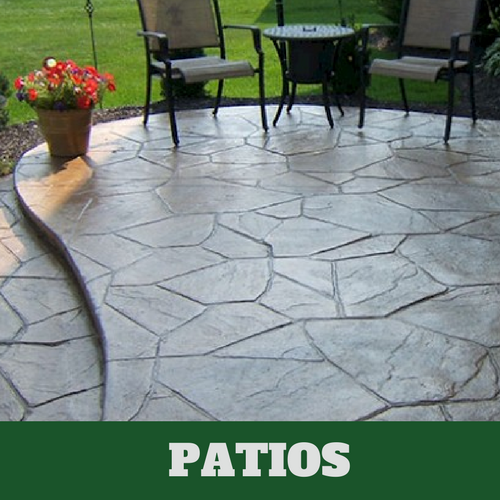 A stamped patio provides you with a lovely place to entertain that is also durable and an ease to maintain. 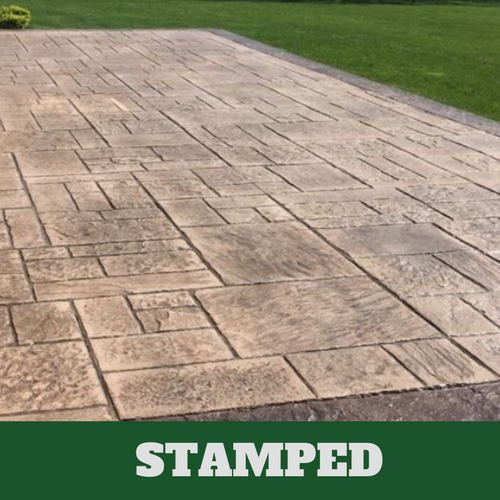 If you have never heard of stamped concrete, why not allow us to show you exactly what a stamped concrete patio looks like. 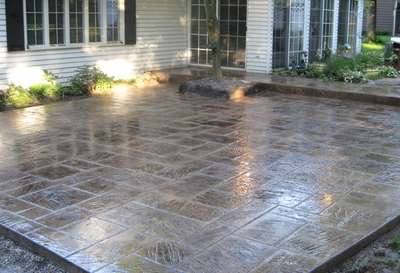 We have installed hundreds of stamped concrete patios resulting in many happy customers. 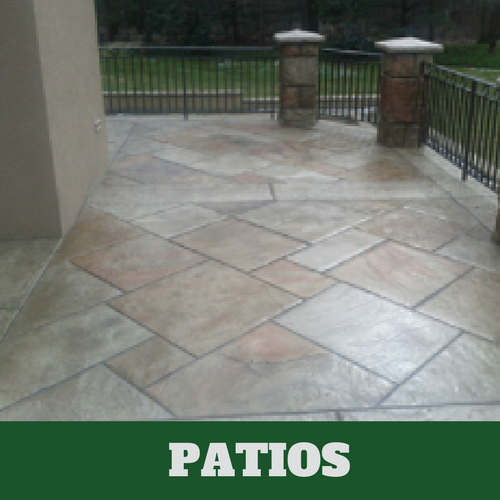 It is an affordable option for improving the look of your patio. Give us the opportunity to show you what we have to offer by contacting us for your consultation today. 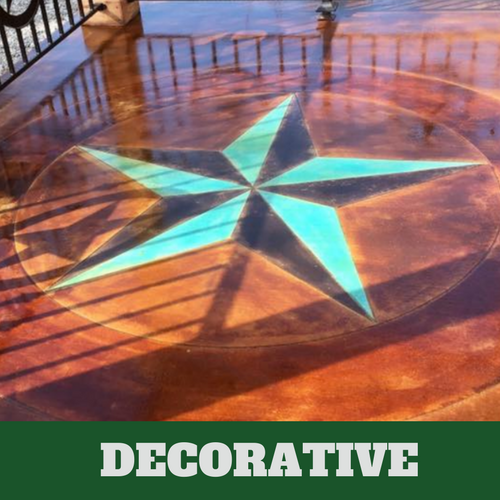 If you are considering making some improvements to the look of your patio and the only thing you can come up with is to have it repainted, we suggest that you also consider stamped concrete. 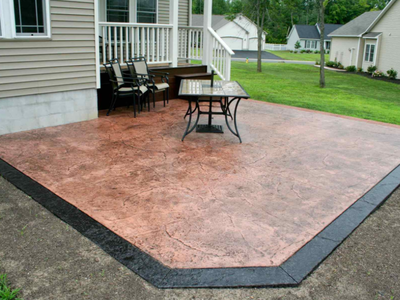 There are lots of options when it comes to stamped concrete. 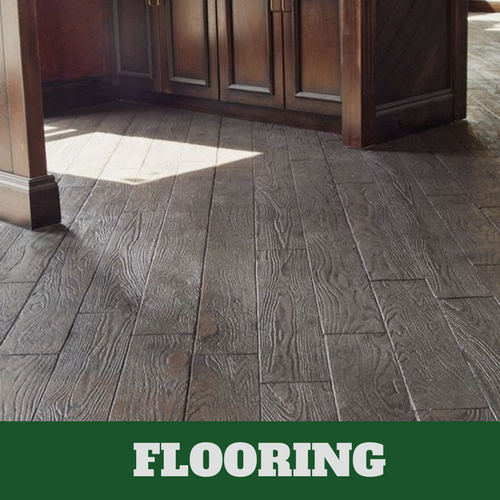 With so many patterns and designs that our contractors are able to accomplish, we are certain that we'll be able to offer you exactly what you are looking for at prices that you are sure to be love. 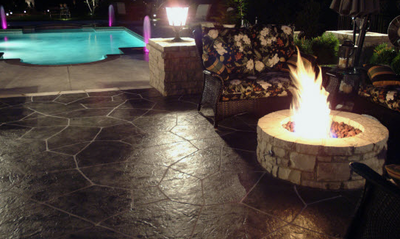 The types stamped concrete that they can install can appear to be tile, stone, wood, or brick. 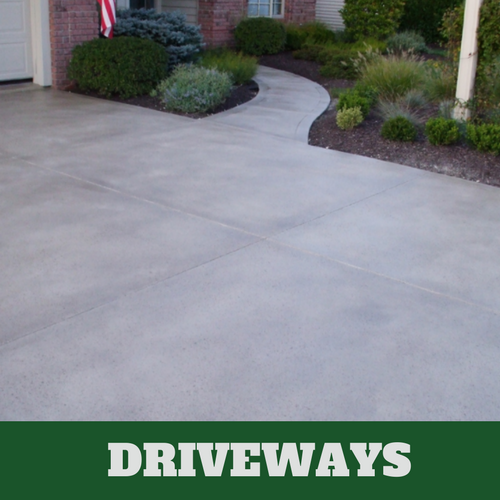 One of the biggest advantages is the cost-effectiveness of stamped concrete. Since it isn't really any of these natural materials and is simply designed to look like it, you will not incur the same expenses. 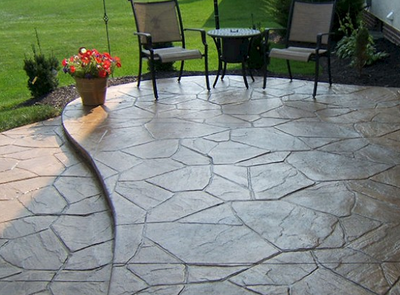 Stamped concrete is far less expensive than the actual natural material that you want. Suppose you have seen what you like but you're not sure exactly what style you are looking at or that you are looking for. 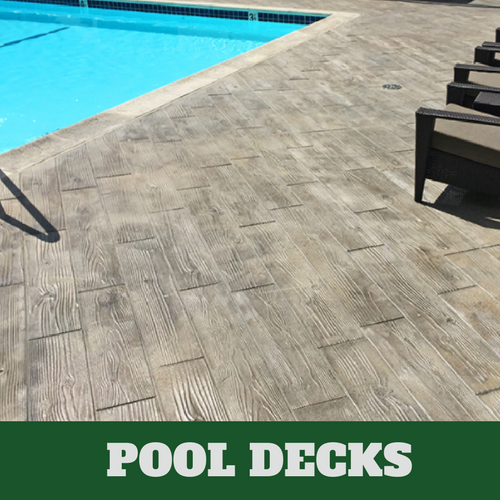 We can tell you that at Milford Stamped concrete, there are some styles that are preferred more than others. Anyone of these could quite likely be the same material that you are interested in. Here are some of the most chosen styles we provide. Slate is beautiful but it is also very expensive. Those who love the look of slate often turn to our expert cement contractors to achieve this look for less. Perhaps you prefer the look of stone. This is not a problem for our professional concrete contractors. 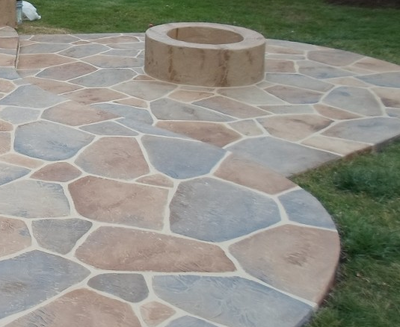 There are even a variety of stones that you can choose from for the look of your patio. 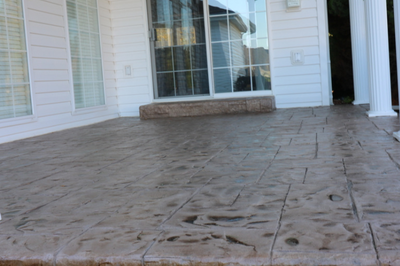 Travertine is also a very popular choice when it comes tot stamped concrete. 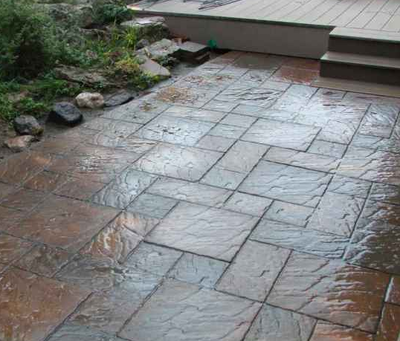 If this is a look that you like, let our contractors provide it to you for your patio.